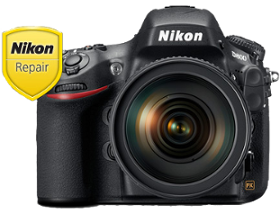 We are factory authorized to repair most Nikon camera equipment including the D4, D800, D7100, D5200 and D3200 under the manufacturer's warranty. We offer low-cost sensor cleanings starting at $54. 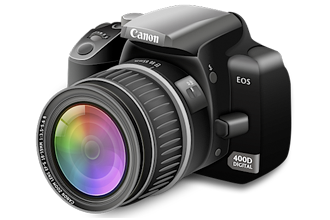 ($74 for full-frame DSLRs) We accept Canon, Nikon and Sony DSLRs and mirrorless cameras for cleaning. All Sony customers must provide a fully charged battery and lens for us to provide a cleaning. 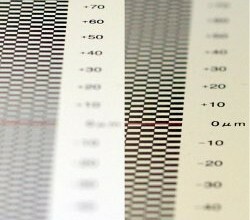 We offer AF fine-tune adjustments starting at only $95/body and $20/lens. Service includes external check and clean (including optical alignment inspection). Sensor cleaning and firmware upgrades included! Located in Sacramento, California we are the largest professional DSLR, digital camera, lens and flash repair facility in Northern California! 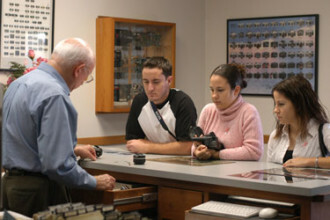 Our friendly and highly-trained customer service staff averages over 30 years of experience in the camera repair field. We can answer nearly any question you have and if not, can direct you to someone who can. Are you ready to get your camera repaired? Fill out our Camera Repair Form right now, package your camera and equipment, and send it in. We primarily service Nikon products currently. "We primarily service Nikon products currently. Our commitment to our customer: provide the highest quality, most reliable repair service at the most affordable price possible. 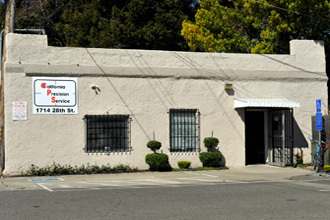 Located in Sacramento, California we are the largest professional DSLR, film SLR, medium format, digital camera, film camera, lens, video camcorder, professional photography equipment and flash repair facility in Northern California! Nikon – Film SLRs, Coolpix, Nikon 1, DSLR, lenses (MF, AF, AF-S), Binoculars and Speedlight flashes. We are a Nikon NPS station and are factory authorized to repair equipment under Nikon’s 1-year warranty. Please note: Parts are extremely limited for all film cameras. We can usually do most basic services such as replacing light seals and cleaning. Other types of repairs are very limited. Please contact us if you have any questions about whether or not we can service your camera. For specific models we repair and approximate repair cost please contact us. For older models parts may not be available. Please contact us before sending the camera in for repair. Failure to do so may result in diagnostic and return shipping/handling fees. Some equipment may be forwarded to the factory for repair due to parts availability or overall cost of repair. The factory may request that we send equipment exhibiting certain symptoms to them for evaluation. We recommend customers with non-Nikon equipment contact us before shipping their equipment or stopping by. Most repairs will require service by the perspective manufacturer. Some minor repairs may be possible in-house.